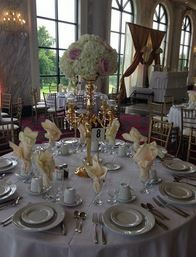 Tall Candelabra in Gold with 5 candles. 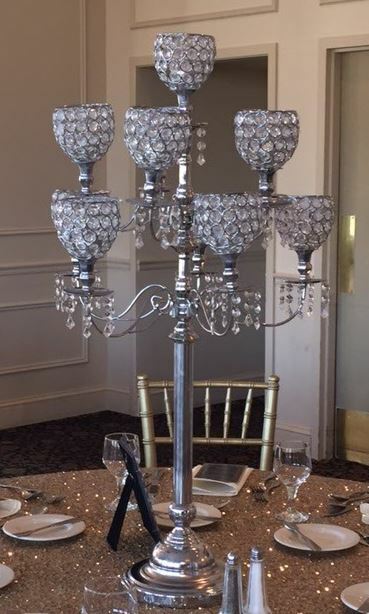 Rental Fee: $50.00* – 30″ Crystal Candelabras with 5 candles. 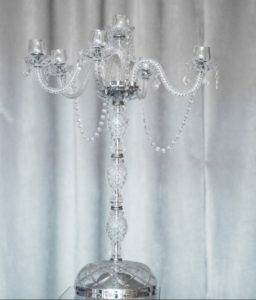 Rental Fee: $70.00* – 36″ Crystal Candelabras with 5 candles. 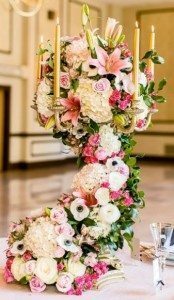 Fresh Flower Option includes: Tall Candelabra in Gold with 4 candles and Floral Design on top made out of Fresh Flowers. 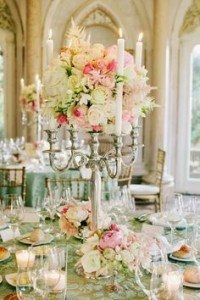 Budget Friendly Option includes: Tall Candelabra in gold with 4 LED Candles and Silk flower Ball on top.